Paul Isakson has revealed himself to be the brains behind the Don Draper profile on Twitter (for those unaware, Don is the central character in the AMC drama Mad Men – set at an advertising agency on Madison Avenue in 1960). Its popularity inspired others, and before long virtually the entire roster of characters (if not all) were Tweeting away. Paul has said that he will be transferring control of the account over to AMC for them to use it as they wish. Will AMC make use of it? Should they? Back in the Summer, AMC asked Twitter to shut down these user accounts due to copyright violation – although after a groundswell (another buzz word du jour) the profiles were reinstated. I can understand their reasoning behind it, even if I don’t agree with it. Traditionally, branding was about central planning and pushing a clear and coherent message to current and potential users. This is why UGC and social media is so scary to some people – they can’t control how the message gets reformulated and reconstituted as it passes from person to person and perception to perception – each new thought predicated and built upon the previous. And as Heinz found out when they asked consumers to submit videos of Ketchup to be used in an advert, people don’t always say or think what you would like them to. If a brand is to be successful on Twitter or within social media in general, they have to accept this and roll with the punches. Will AMC? 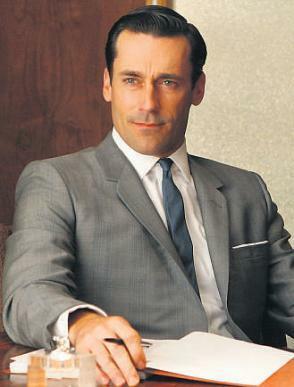 They would obviously prefer it if they could control all Mad Men Twitter accounts. But if they can’t? That depends on how far they are willing to engage with their fans and perpetuate the mythology. With long-running scripted shows, this can be a difficult prospect. As the comic book world shows, the problems with multiple storylines, continuity problems, canon vs. non-canon, retcons and so on are legion. At the moment, these Twitter accounts are a bit of fun but if AMC get involved, they are given the aura of legitimacy. Personally, I think that AMC should take the plunge. People are invested in the show and immersed with the storylines – social media offers fantastic options to deepen that engagement further. This in turn creates loyal advocates who will religiously watch the show and expound the benefits to their peers. A few nitpickers aside, this will be a positive step for fans. But problems can be caused as social media encourages an insider-outsider effect. I have felt first-hand the issues of being an outsider. A while back, I tweeted that Mad Men makes me want to drink whisky. Presumably through a Twitter search, two of the fake characters promptly added me as contacts. I am only halfway through the first series and by browsing their feeds I quickly saw things I wish I hadn’t. Social media activities tend to be run on the premise that people are au fait with all the characters and their developments.